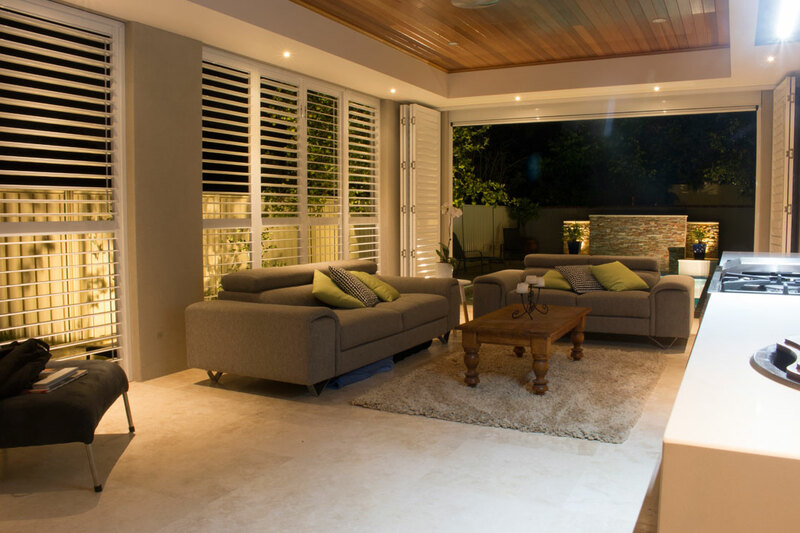 Featuring gorgeous high ceilings and large adjustable shutters, this open-plan living and dining space was expertly constructed by Tegella Construction. The multi-use, indoor/outdoor extension is ideal for entertaining family and friends throughout the year, while doubling as a teenager’s retreat. The designer maximised the use of the space by creating three distinct lounging, eating and cooking zones. The highly functional kitchen area includes top-quality appliances, as well as its own coffee-making corner. The beautiful French doors provide a seamless transition to the outdoors, while the openable shutters welcome plenty of light into the existing internal living area. Keeping the roof height under the existing structure’s upper-level windows presented a unique challenge to the designer and builder. A low-pitch roof with bulkheads was selected to ensure that the windows’ clear, unobstructed views were maintained. 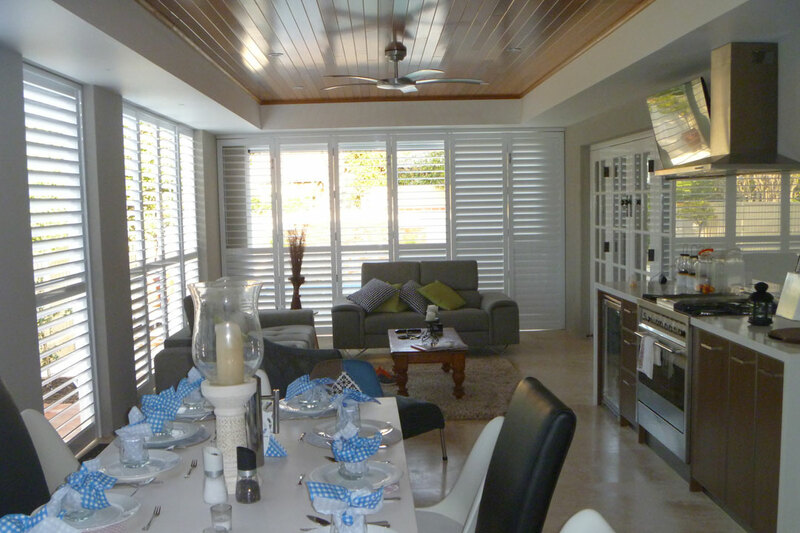 Offering increased energy savings, the shutters allow the clients to control how much sun or shade they desire, while providing optimum ventilation. They also allow the clients to enjoy full view of the pool, while maintaining their privacy. 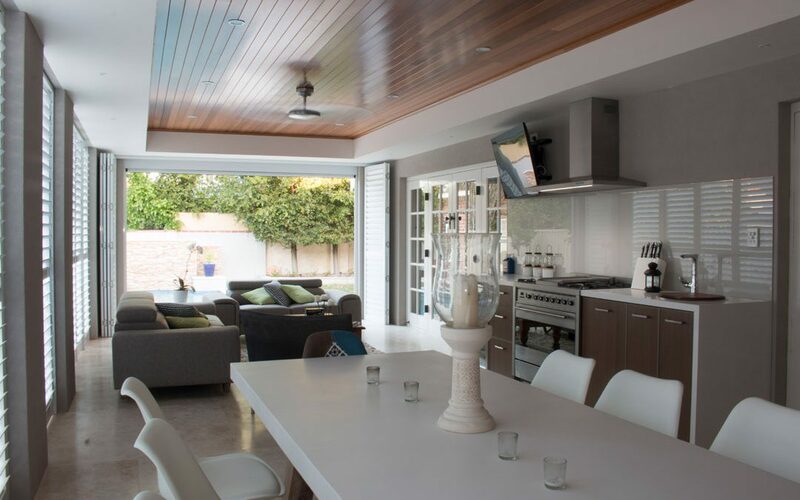 Specialising in single-storey additions and full home makeovers, Tegella Construction is a Willetton-based renovation company that operates in the greater South Perth area. Paul Egginton created Tegella Construction in 2009 and formed a partnership with Steven Martin in 2010. Together they lead an experienced team of professionals who strive to make every clients’ dream home a reality, on time and on budget. The company’s long list of satisfied clients love how their project was handled during each step of the process, from developing the right design and sourcing high-quality materials, right through to the final stages of construction. Since its inception, Tegella Construction has experienced rapid growth in a very short time. 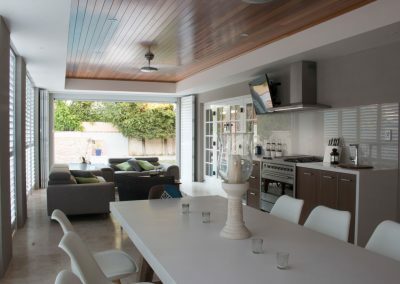 In the company’s first three years it’s completed many different types of projects, which include extensions and renovations, as well as new homes.